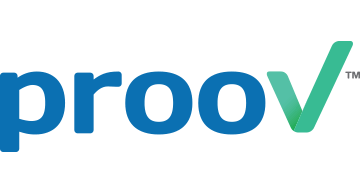 prooV™ (https://proov.io) is the first Pilot-as-a-Service platform that brings together global enterprises and startups to discover, connect, execute and evaluate Proof of Concepts (PoCs). On the prooV platform, enterprises can open and display PoC opportunities, according to their technology and innovation needs, and pre-vetted startups can apply to join these opportunities to demonstrate their solutions’ capabilities. For each PoC opportunity, a corresponding, remote and secure testing environment is created, populated with everything needed to run a viable PoC, including relevant data and APIs. Enterprises can then evaluate the performance of each solution that is tested, compare them against each other, or to a set of KPIs, and use predictive analytics to see how they will scale if and when moved to production. prooV accelerates the journey from RFP to PoC for all parties involved, saving valuable time, money and resources.